Transfer pricing refers to the setting of prices of goods and services that are exchanged between commonly controlled legal entities within an enterprise. For instance, if a subsidiary company sells goods or renders services to the holding company, the price charged for these services is referred to as transfer price and the setting is called transfer pricing. Entities under common control refer to those that are ultimately controlled by a single parent corporation. Multinational corporations use transfer pricing as a method of allocating profits (earnings before interest and taxesEBITDAEBITDA or Earnings Before Interest, Tax, Depreciation, Amortization is a company's profits before any of these net deductions are made. EBITDA focuses on the operating decisions of a business because it looks at the business’ profitability from core operations before the impact of capital structure. Formula, examples) among its various subsidiaries within the organization. Transfer pricing offers many advantages for a company from a taxationAccounting For Income TaxesIncome taxes and its accounting is a key area of corporate finance. Having a conceptual understanding of accounting for income taxes will allow a company to to maintain financial flexibility. Tax is an intricate field to navigate and often confuses even the most skilled analysts. perspective, although regulatory authorities often frown upon the use of transfer pricing to avoid taxes. Transfer pricing takes advantage of different tax regimes in different countries by booking more profits for goods and services produced in countries or economies with lower tax rates. In some cases, companies even lower their expenditure on interrelated transactions by avoiding tariffs on goods and services exchanged internationally. International tax laws are governed by the Organization for Economic Cooperation and Development (OECD) and the auditing firms under OECD review and audit the financial statements of MNCs accordingly. Consider ABC Co., a U.S. based pen company manufacturing pens at a cost of 10 cents each in the U.S. ABC Co.’s subsidiary in Canada, XYZ Co., sells the pens to Canadian customers at $1 per pen and spends 10 cents per pen on marketing and distribution. The group’s total profit amounts to 80 cents per pen. Now, ABC Co. will charge a transfer price of between 20 cents and 80 cents per pen. In the absence of transfer price regulations, ABC Co. will see where the tax rates are lower and seek to put more profit in that country. Thus, if U.S tax rates are higher than Canadian tax rates, the company is likely to assign the lowest possible transfer price to the sale of pens to XYZ Co. Article 9 of the OECD Model Tax Convention describes the rules for Arm’s Length Principle. It states that transfer prices between two commonly controlled entities must be treated in such a way as if they are two independent entities. Arm’s Length Principle is based on real markets and provides a single international standard of tax computation, which enables various governments to collect their share of taxes and at the same time creates enough provisions for MNCs to avoid double taxation. Google runs a regional headquarters in Singapore and a subsidiary in Australia. The Australian subsidiary provides sales and marketing support services to users and Australian companies. The Australian subsidiary also provides research services to Google worldwide. In FY 2012-13, Google Australia earned around $46 million as profit on revenues of $358 million. The corporate tax payment was estimated at AU$7.1 million, after claiming a tax credit of $4.5 million. When asked about why Google did not pay more taxes in Australia, Ms. Maile Carnegie, the former chief of Google Australia, replied that Singapore’s share in taxes was already paid in the country where they were headquartered. Google reported total tax payments of US $3.3 billion against revenues of $66 billion. The effective tax rates come to 19%, which is less than the statutory corporate tax rate of 35% in the US. 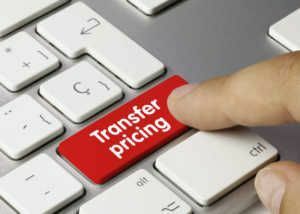 Transfer pricing helps in reducing duty costs by shipping goods into countries with high tariff rates at minimal transfer prices so that the duty base of such transactions is fairly low. Reducing income and corporate taxes in high tax countries by overpricing goods that are transferred to countries with lower tax rates help companies obtain higher profit margins. There can be disagreements within the divisions of an organization regarding the policies on pricing and transfer. Lots of additional costs are incurred in terms of time and manpower required in executing transfer prices and maintaining a proper accounting system to support them. Transfer pricing is a very complicated and time-consuming methodology. It gets difficult to set prices for intangible items such as services rendered as these do not provide measurable benefits. Sellers and buyers perform different functions and thus, assume different types of risks. For instance, the seller may refuse to provide warranty for the product. But the price paid by the buyer would be affected by the difference. Thus, sellers and buyers need to face different kinds of risks such as financial and currency risks, collection risks, market and entrepreneurial risks, product obsolescence risk, credit risk, etc.